To close off or seal an opening or pathway. (Of teeth) To press against a tooth on the opposite jaw. To take in or soak up a foreign material or chemical. When one takes something that is normally open and closes it, they occlude it. To occlude means to seal off or in some way block the opening of a vessel or the end of a path. 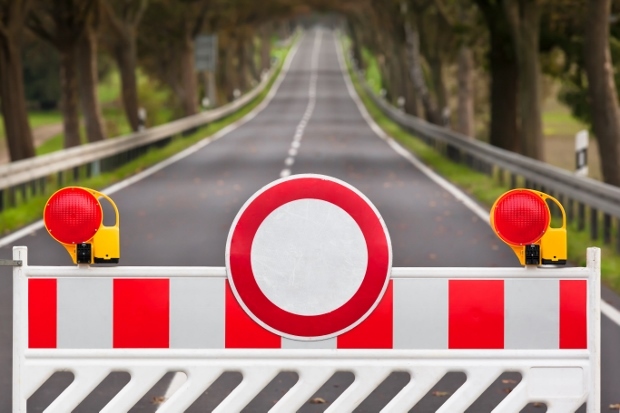 While there are many instances where a person can be said to block, obstruct or hinder something, the word occlude usually suggests that the thing being impeded has a single, clear hole or channel through which something passes. In general, occlude can be used with few limitations when depicting one abstract concept interfering with another, but when used in a literal or material sense, it takes on an important nuance that is not present in similar words such as "block" or "obstruct." In the latter usage, one can occlude a physical object such as jar because when one closes its mouth with a lid, the only passage by which its contents can be accessed is sealed. On the other hand, it would be strange to say a defender occludes a shot at the goal in soccer, because, while the goal has an opening, the air through which the ball has traveled first does not. Occlude also has a number of technical uses. In dentistry, when one tooth makes contact with a tooth opposite to it on the other row of teeth (i.e. an upper tooth hitting a lower tooth or vice versa), the first tooth occludes the second. Another common medical term derived from occlude is a coronary occlusion, which is when the coronary artery is partly or completely closed off, usually by accumulated plaque or other fatty buildup. In the case of total blockage of the artery, coronary occlusion can lead to a myocardial infarction. Finally, in the field of chemistry, occlusion describes the phenomenon of a solid object absorbing a gas or liquid to hold it inside its structure. Example: As he was impatient to eat, he decided to occlude the pot of pasta so it would cook faster. Example: Her crooked tooth began to occlude the other teeth so forcefully that her dentist recommended she get braces. Example: Sponges are so useful for cleaning because they can occlude such a great amount of water. The earliest form of occlude derives from the Latin word occludere, meaning "to close up." This term comes from the prefix ob-, which means "against," and the verb claudere, meaning "to shut." The word emerged in English in its primary meaning in the late 1500s, but its use in dentistry did not begin until the late 1800s. Occluded: This can either serve as the past tense of occlude, illustrating when someone closed something prior, or its past participle, to note that an object is plugged or otherwise obstructed. Example: He quickly occluded his ears with his fingers as the ambulance raced past him. Example: The fireplace had been occluded so long ago that it required significant restoration before it could be safely used. Occluder: This noun means an entity responsible for obstructing or closing off some lane of passage. Example: An occluder stopped traffic in both directions with his slow, inept Y-turn on the busy road. Example: The bar patron used a coaster as an occluder for her drink, to signify that she was not finished with it while she stepped outside. Occludes: The present tense conjugation is used when a third-party closes off something. Example: Before hurrying off to work, she occludes her coffee with a lid to keep it from spilling. Occlusion: Occlusion is a noun that describes the act of closing, or the closed state of, an opening or vessel. Example: His quick occlusion of the door kept the cold air from rushing into the house. Example: The jar's occlusion was so tight that no one at the table could open it even after numerous attempts. Even the novice alone can see quickly that a life conducted, temporarily or no, as a simple renunciation of value becomes at best something occluded and at worst something empty: a life of waiting for the will-be-never. Sitting in passive acceptance of (not judgment on) the happening and ending of things. The narrator here warns against simply taking life as it comes with no firm opinion or perspective on it, saying that failing to reflect on it makes a life closed off to growth or meaning, or occluded. The best way to occlude something is to glue it shut. When you occlude, the (literal) case is closed. Bring out the linguist in you! What is your own interpretation of occlude. Did you use occlude in a game? Provide an example sentence or a literary quote.